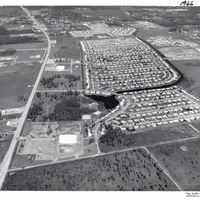 A south view of Sky Lake, Florida, in 1966. 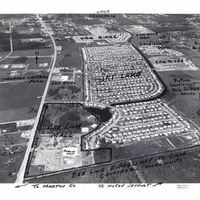 The second photograph is annotated to identify the Beeline Mall, Publix, Oak Ridge and Oak Ridge II, Sky Bowl, Orlando Central Park, Oak Ridge High School, and Candlelight Park. 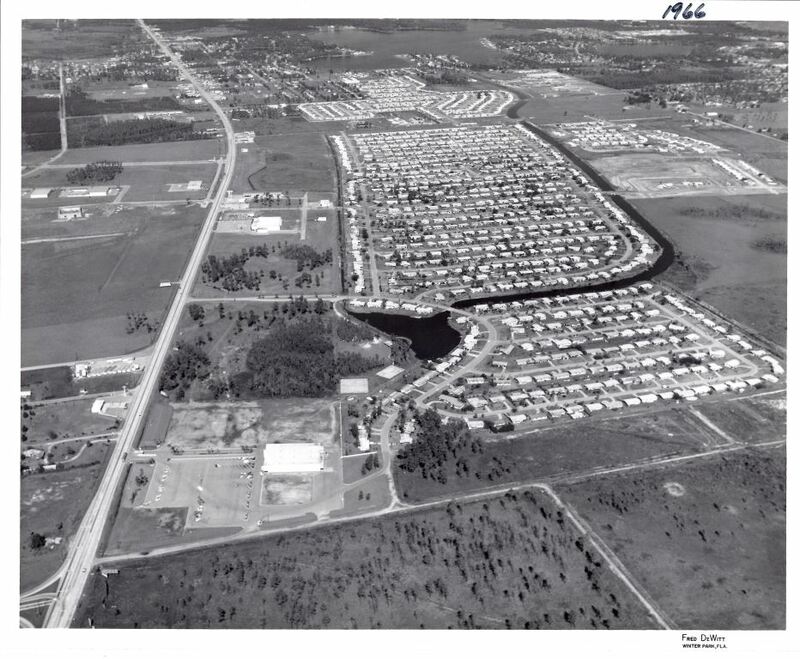 The roadway at the bottom of the photograph is Florida State Road 528 (SR 528) also called the Martin Andersen Bee Line Expressway. The Bee Line has since changed its name to the Martin Andersen Beachline Expressway. Original 8 x 10 inch black and white photographs, 1966: Pine Castle Historical Society, Pine Castle, Florida. Digital reproduction of original 8 x 10 inch black and white photographs, 1966. DeWitt, Fred. 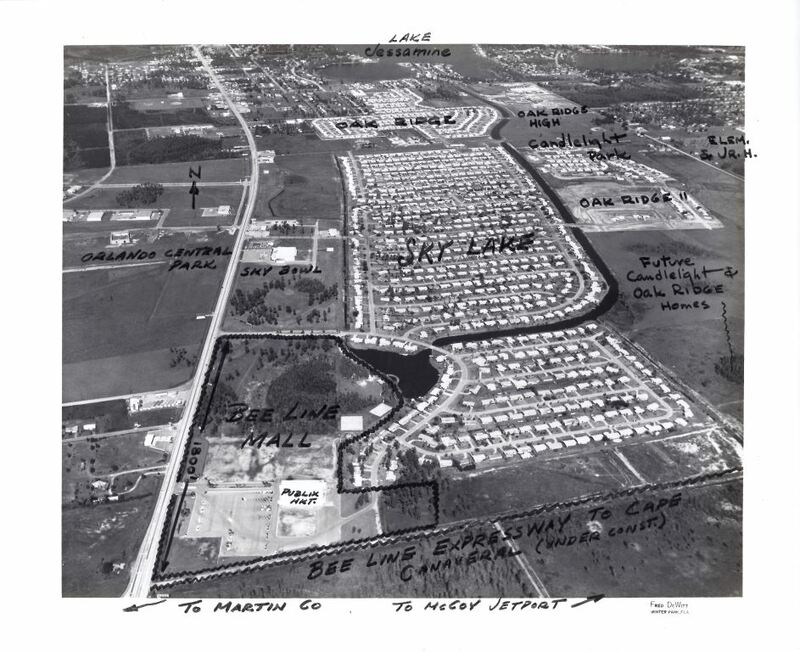 “Sky Lake, 1966.” RICHES of Central Florida accessed April 19, 2019, https://richesmi.cah.ucf.edu/omeka/items/show/7034.